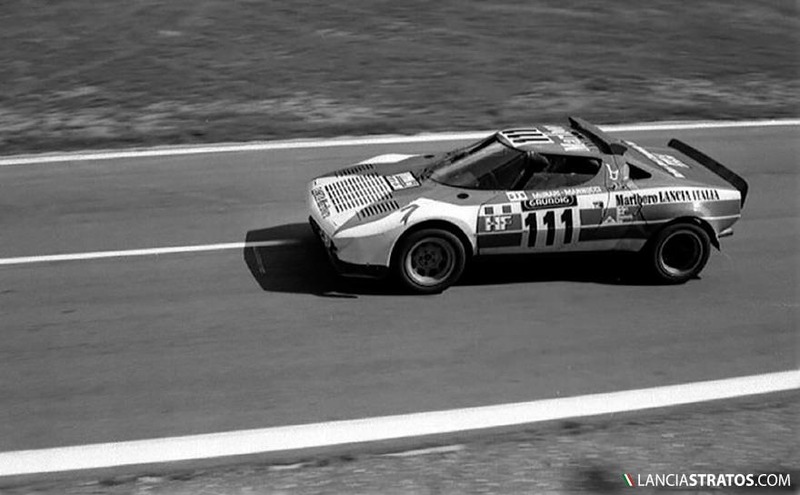 The Lancia Stratos won numerous rallies and 3 Rally World Championship titles; however its first major international victory was the 1973 Tour de France Auto on September 14-22 with Munari and Manucci. The launch of the LanciaStratos.com website happens to be on the same date as the Tour Auto 2014 in which no less than 6 Stratos will take part, (Althani/Roux, Puccinelli/Lindsay, Leroy-Fleuriot/Cothenet, Comas/de Sadeleer, Schwarz/Bühler, France/France). 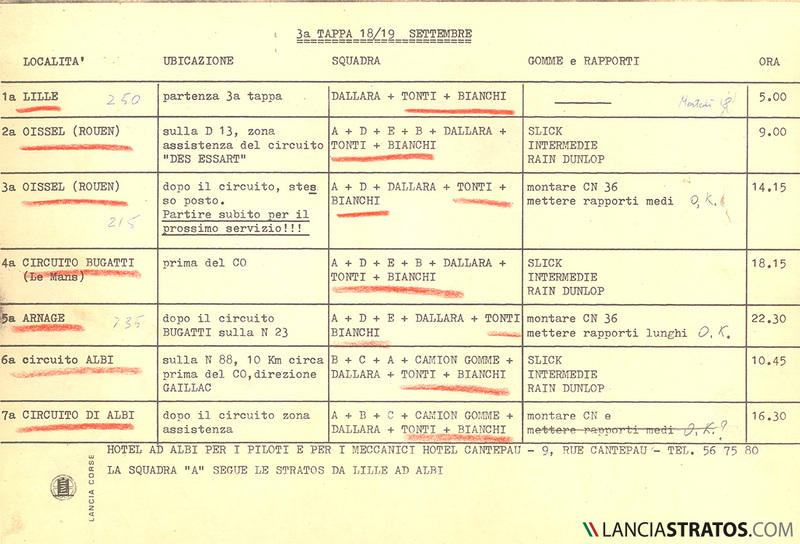 We have the pleasure to offer you exclusive service documents from the 1973 race clearly showing the ambition and motivation of Lancia Corse. 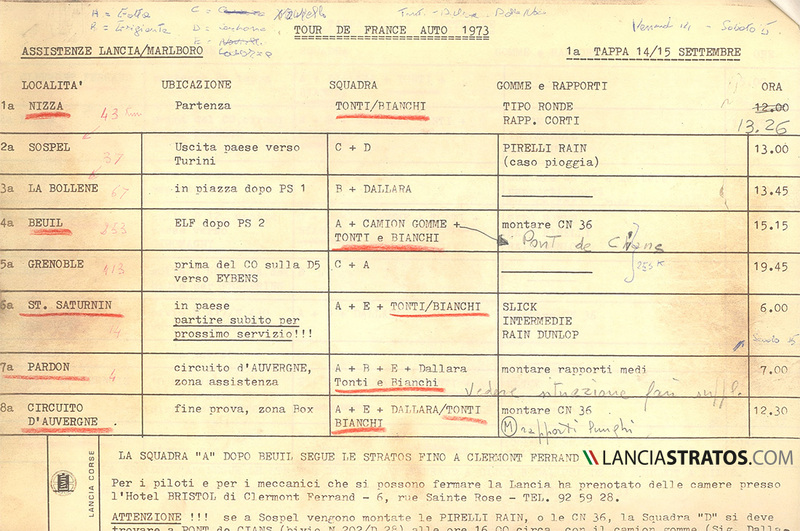 The documents below demonstrate the quality of the works teams’ organisation, including planning the gear ratio changes in between special stages and tracks. this operation only needed 12 minutes thanks to a clever system of side pinions. 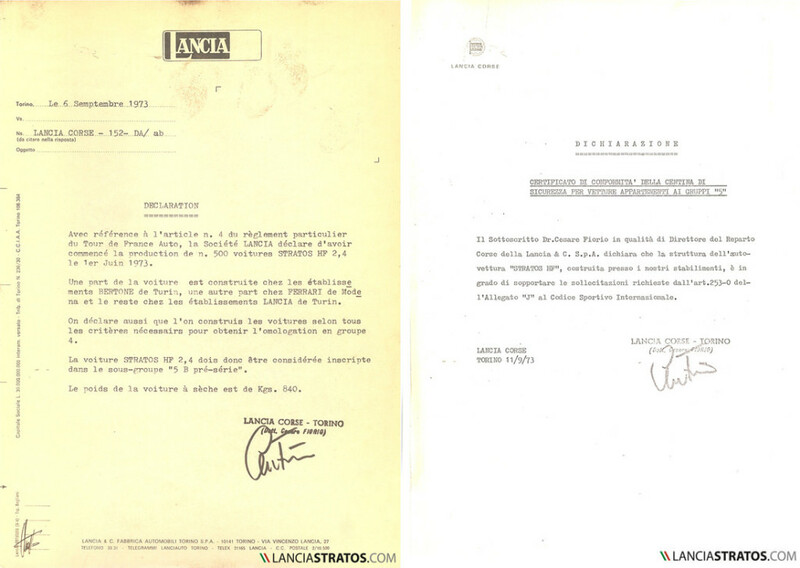 Lancia Stratos - Tour AutoCesare Fiorio had to submit a declaration confirming the process of homologation in Group 4. This was delayed, however, which led it to be briefly integrated in the Pre Group 5 category. The following Tour Auto victories with Darniche in 1975, 1977, 1979 and 1980 occurred with a Group 4 homologated car, using two bonnet variations, circuit spec (73-75) or rally spec. 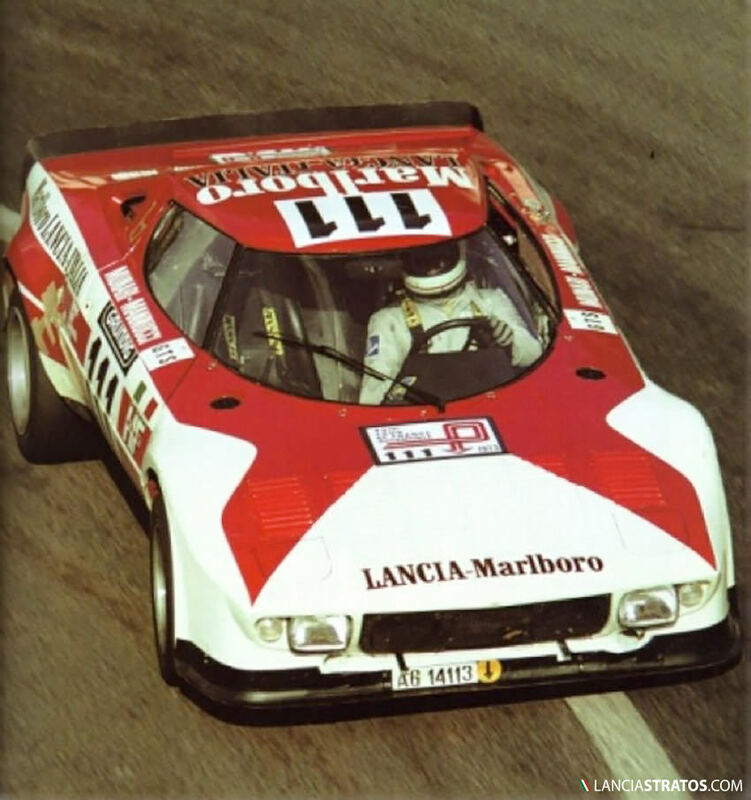 Indeed, in order to boost the race audience, the organisers allowed the Lancia Stratos and Ligier JS2 to participate in the new Group 5 TA, being not yet homologated in the Group 4 category. Guy Chasseuil’s car was the fastest but a mechanical issue on the Clermond Ferrand track made him lose 43 minutes and all chances of a victory. The other Ligier of Larrousse was then leading before breaking its timing chain. 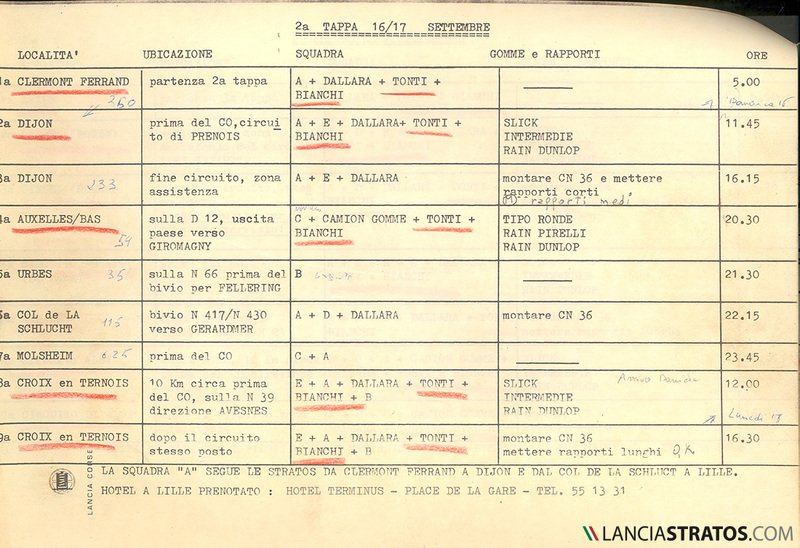 The fight for first place was then between the Porsche of Ballot-Léna and the Stratos of Munari, the latter taking advantage on the special stages and thus winning the race. A clutch failure led to “Ballot” losing his second place. 77 crews at the start, 32 at the finish. 5 legs totalling about 5500 kms, including 17 timed sections.